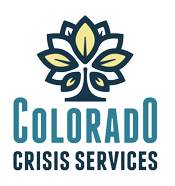 The Mental Health Center of Denver understands that people are rooted in cultures that give their lives meaning, texture, and direction. We strongly believe that these multiple perspectives foster community, drive innovation, and inspire excellence and we proudly hold diversity as an integral part of our mission and goals. We strive to create a supportive, inclusive work environment in which all individuals can flourish. We also acknowledge our responsibility to respect and reflect the communities that we serve and are committed to recruiting and developing a diverse workforce to provide the highest level of care to our consumers. We realize that in order to fully promote recovery and resilience, we must understand and appreciate how cultural experiences shape our interactions. We are dedicated to providing all staff with ongoing opportunities to cultivate the knowledge and skills necessary to deliver services in a culturally-appropriate manner. We know that our long-term success depends upon our ability to build meaningful partnerships with our consumers, our colleagues, and our community in a society that is progressively more multicultural. We commit to leveraging the numerous opportunities that exist within our increasingly diverse backgrounds and talents in order to ensure that the Mental Health Center of Denver will continue to enrich lives and minds for generations to come. The Mental Health Center of Denver is an Equal Opportunity Employer. We value and are strengthened by diversity.